Neal Adams was one of my favorite artists when I was growing up. I remember the excitement of seeing an Adams cover on the spinner rack. I have many fond memories of picking up an issue of “Batman” or “Brave and the Bold” with his art. And the pleasant surprise of seeing an Adams’ page in the original run of “Justice League of America”. One of my favorite series back then was the Roy Thomas/Neal Adams/Tom Palmer “X-Men”. The stories were good and the visuals were stunning. Although Adams art is not the same as it was then, I still like to look at his work. For this trip down memory lane, Adams is teaming with writer Christos Gage (one of the most underrated writers of recent times). Is this a perfect comic? No, but it is fun. 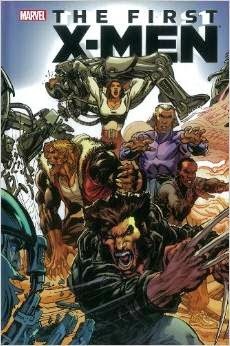 This takes place before Professor Xavier recruits the original team as we saw them in “X-Men #1”. If you are looking for an enjoyable, fun adventure I would recommend this series. I just read today that Marvel is going to kill off Wolverine in their revamp. Not sure how I feel about that.